Title issues are not uncommon in real estate, and if you are not careful they can often cost you a lot of time, stress and money. Just defining what title means for a certain property can be complicated, but there are a wide variety of other factors that can have a negative affect on title. Sometimes the public record will not be up to date, or may even have incorrect information about a property. This can happen for all kinds of reasons. Maybe a previous owner forgot to file an important document with the county, or perhaps there was a simple clerical issue. Whatever the reason, there can be devastating consequences for your homeownership rights. Unfortunately, these things can often take a long time and a lot of money to correct. Sometimes, when people don’t pay their debts, their creditors will go to the courthouse and file a lien against the person’s property. This could potentially allow the creditor to foreclose on the property in order to satisfy the debt. However, sometimes a lien exists without being recorded, so a property owner may not even be aware that there is a lien against the property, and if they sell the property the new buyer may end up getting stuck with the problem. Every property has a history. If it is discovered that documents or signatures in a previous transaction were forged, it could nullify subsequent transactions (re. your legal title). Forgeries can range from outright impersonation of a homeowner, to a husband signing his wife’s (or ex-wife’s) name on a deed. Forged deeds, or deeds signed by minors may be nullified or deemed unenforceable in court. The maps you are looking at to determine the boundaries of your property may not coincide with the maps that your neighbors are looking at. When different people or entities order surveys or maps from different surveyors or agencies, there are bound to be differences between those reports. 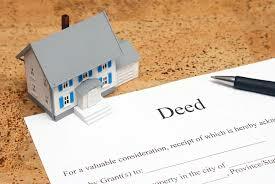 There may be easements in place that were not known about at the time you purchased your property. These easements may limit your use of your property. For example, say you bought a property and you planned to build a new pool in the backyard. However, you soon discover that your neighbor has an easement that allows them to drive through your backyard to access their property. In this case, you may not actually be allowed to build your new swimming pool because it would block the newly discovered easement. While this probably won’t cost you money, it may change your mind about the value of your new property. When a person dies, his ownership will pass to his heirs. In some cases, one of the heirs may be unknown at the time of death. But what if the other heirs sell you the property without including the missing heir? Well, you now run the risk of having that missing heir come back years later and contesting your property rights. Fortunately, there are two things that every buyer can do to protect themselves from most tile issues: get a preliminary title report done, and get title insurance. Here in SoCal, the seller usually orders and pays for the title report. To create the report, the title company will conduct a thorough title search making sure to comb through public records of past wills, trusts, divorces, bankruptcies, court judgments, tax records, and more. If there are any clouds on title, they will almost always show up in this report. How long does a title search take? It can vary depending on what the search turns up, but typically a title company company can complete the report in 1-3 business days. The title company can also issue a title insurance policy on the house which protects against undiscovered clouds on title that may arise in the future. There are different kinds of title insurance that offer varying degrees of protection. So, you should make sure to consult a real estate agent or learn more about your options before buying a policy. Posted in buying, financing, Real Estate, selling and tagged bankruptcy, boundary dispute, common title problems, divorce, easement, encumbrance, forgery, liens, mechanics lien, missing heir, public record, real estate title issues, title defect, unknown lien, unsettled estate.